Canadian winters can be long and rough, combining the problems of freezing temperatures, heavy snowfall, ice and strong winds. 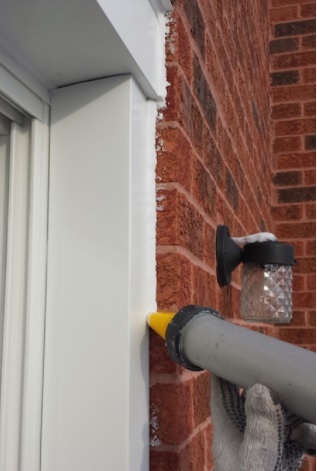 If you want to protect your home from the harshness of Canadian winter, here are some home improvements that you should consider. Old windows are a major culprit for cold air getting indoors — if you try to ignore this by turning up the heat, they will also make your hydro bills rise. To avoid sitting in the cold, replace your old windows with high-quality energy-efficient windows — the windows should be professionally installed and sealed with caulking, in order to have the best results. To find out more about how you can winterize your home with high-quality windows, you can visit the Casa Bella Windows & Doors Blog for information and tips on window styles, materials and installation. Casa Bella Windows & Doors is an experienced Toronto-based windows and doors company that has helped countless homeowners protect themselves from the cold of Canadian winter. Cold air can also leak through the attic, often because homeowners ignore this area of the house or give it little maintenance. An attic still needs to be insulated, even if no one is living up there, because the cold air can reach the rest of the house. Seal up cracks and leaks, add fiberglass insulation to the walls, and make sure that the entrance of the attic is made of effective materials. If you have windows in your attic, remember to include them during your window renovation process and replace them with energy-efficient ones. If your home comes equipped with a fireplace, then you will have to give it some upkeep before starting a crackling fire. You will need to have your chimney cleaned from creosote build-up — if left neglected, creosote build-up can be a common cause of house fires. If you notice any damage like cracks, leaks or dampness, you will need to call a professional and have them fix it. Make sure that your other heating appliances are functioning properly, so that you don’t have to turn the heat up so high and waste energy. If you keep your home warm with a furnace, you will need to change the furnace filter by the time winter arrives. The filter should be replaced every few months, so that the furnace is as efficient as possible. If you want your home to endure the harsh weather during Canadian winter, you will need to make some preparations and home improvements before the season begins. These improvements include replacing old drafty windows with high-quality energy-efficient choices, thoroughly insulating your attic, and repairing your fireplace and other heating appliances needed for the winter. By following these important suggestions, your home will be shielded from the bitter cold and you will be as comfortable as possible by the time snow hits the ground.